A hospital system maintained its work during one of California's deadliest wildfires. Leaders attribute that success to following an established command structure and focusing on capacity and staff care. 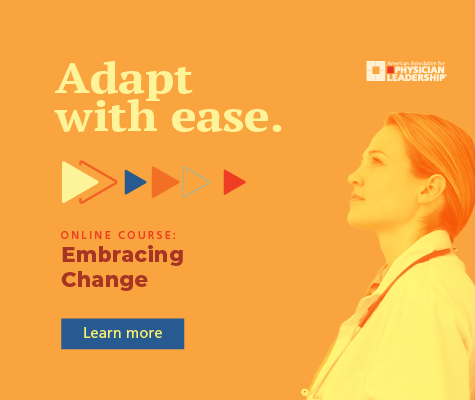 ABSTRACT: During one of the deadliest and most destructive wildfires in California history, Providence St. Joseph Health of Sonoma County maintained its operations — even with a 70 percent increase in its normal weekly emergency room visits, and up to 10 percent of its employees losing their homes. Leaders attribute that success to following an established hospital incident command structure and focusing on capacity and staff care. In October 2017, Northern California experienced the most destructive series of wildfires in state history, killing 44 people and hospitalizing nearly 200, with nearly 9,000 structures destroyed throughout the 245,000-acre area, according to news reports. In October 2017, wildfire can be seen near Santa Rosa Memorial, a Level II trauma center about 55 miles north of San Francisco. Not unlike other disasters — whether mass shootings, floods or earthquakes — hospitals are places people go to feel safe during wildfires. Hospitals provide vital services in response to disasters. 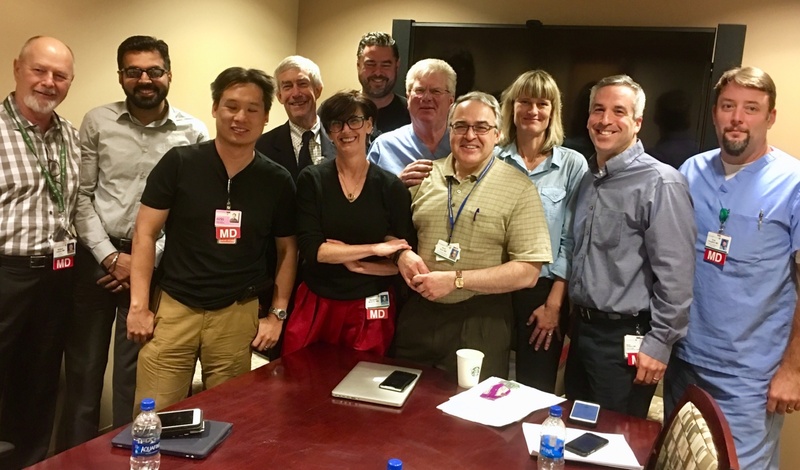 The key to the successful response by St. Joseph Health in Sonoma County, which operates Santa Rosa Memorial Hospital and Petaluma Valley Hospital, rested on the fact that leaders immediately acted and set up incident command centers at each location. 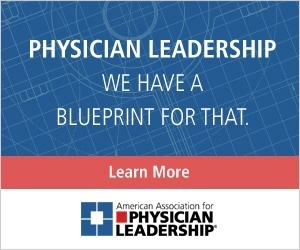 The lessons learned were capacity management, housing, caring for our caregivers and physicians, and communication. This report shares what we learned so other hospitals may be better prepared for disasters. Santa Rosa Memorial Hospital is located near U.S. Highway 101, approximately 55 miles north of San Francisco. A 338-bed acute care facility, it is the region’s only Level II trauma center and serves Sonoma, Napa, Mendocino and Lake counties. It opened in 1950 and provides a broad array of services, including a Level III neonatal intensive care unit, cardiac surgery and neurosurgery. Petaluma Valley Hospital is 40 miles north of San Francisco. It is an 80-bed, general acute care hospital, providing such services as a family birth center, general surgery and critical care. In Sonoma County alone, the wildfires affected 110,720 acres and were attributed to 23 civilian fatalities — making it the second-deadliest California wildfire. In addition, it took more than 159 fire engines, six helicopters, 59 hand crews and more than 2,481 total personnel to contain it. These wildfires destroyed 6,768 structures and damaged an additional 476. The key to the response in this event was that caregivers showed up, ready to work. Even those who were losing their homes and possessions did not leave Santa Rosa Memorial Hospital. 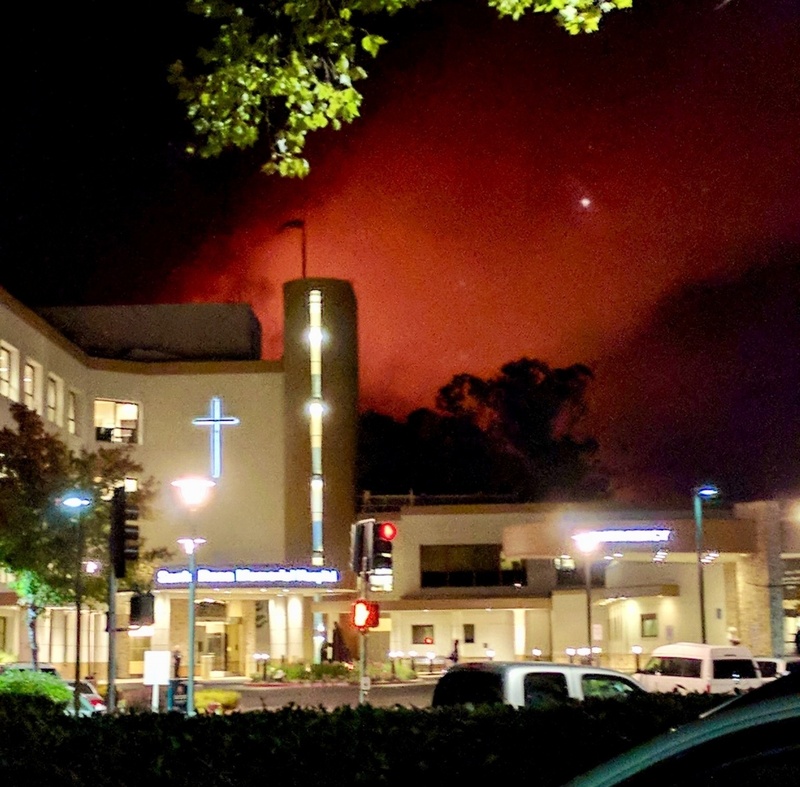 When patients from other local hospitals were evacuated because of the fires — approximately 130 patients from Kaiser Santa Rosa Medical Center and 70 patients from Sutter Santa Rosa — some of their caregivers came to the hospital even as they knew they were losing their possessions. At the incident command center, multiple debriefings took place over the first few days, eventually decreasing to twice daily until the incident closed 11 days later. At this time, the incident command center immediately opened, and we followed our hospital incident command structure. The incident commander led debriefings that included reports from the incident commander, operations section chief, medical care branch director, planning section chief, logistics chief and public information officer, and a human resources report from both sites. Reports occurred at multiple times over the first few days of the incident, eventually decreasing to twice daily until the incident closed 11 days later. An initial challenge was related to using staff from other hospitals. Granting disaster privileges helped to mitigate this obstacle. Having this available was a key to successfully staffing units. One barrier for incoming caregivers was the difference in the electronic health records. One finding in the women and newborn area, for example, was leveraging downtime procedures and using paper records to expedite patient care. 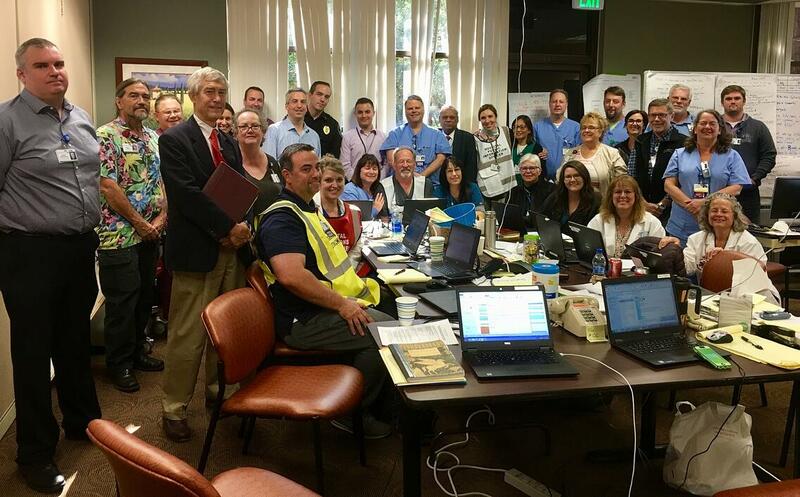 Leaders decided early to hold all elective cases for two reasons: to have capacity in the event of potential mass casualties, and a request from the emergency operations center to keep the census low in case Santa Rosa Memorial Hospital needed to evacuate. This risk became more apparent on Oct. 12 as the fires approached the hospital. Incident command adjusted our admission criteria to include primarily heart attacks, trauma and pregnancy-related conditions — our treat-and-transfer practice. If a condition was not one of the above, the medical branch director needed to authorize it with the incident commander and attending physician of record. This enabled care for many patients in our community while also allowing us to evacuate in an hour, if necessary. In addition, every morning, patients were categorized in three categories: red (nonambulatory), yellow (ambulatory with assistance) and green (ambulatory). This was done to allocate resources needed to move patients out. It also included our unit volumes and anticipated discharges. 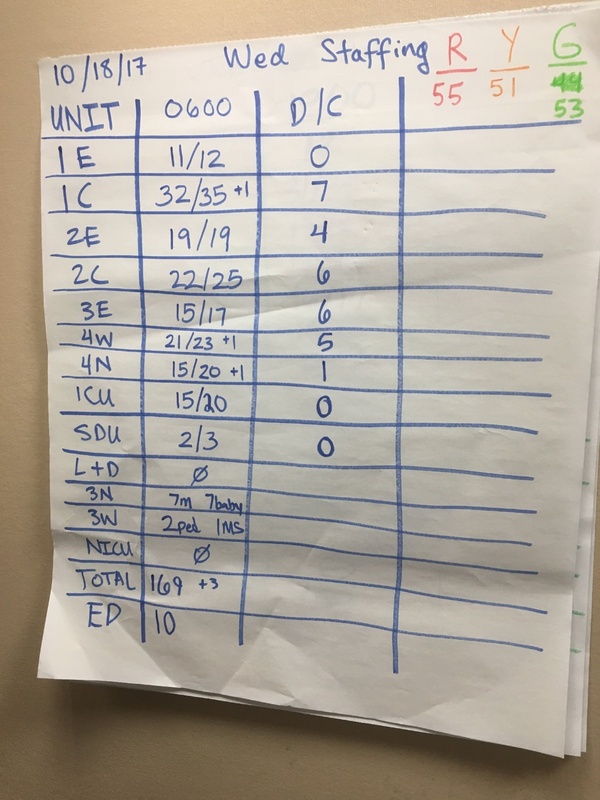 A daily timeline (see Table 1) represents the volumes at the hospital. The emergency department treated approximately 1,200 during the first week of the wildfire. The patient population served from Oct. 8-21 drew from 145 ZIP codes and led to more than 500 more patients seen on a weekly basis than average. Most injuries were related to smoke inhalation and respiratory distress, but 14 traumatic burn cases were treated as well. Six of these patients were transferred to burn centers. We tracked the reach of the fires and the number of patients treated in our emergency department who resided in the greater Sonoma County area (see map below). An unintended consequence of the treat-and-transfer practice was overwhelming Petaluma Valley Hospital. This hospital was farther from the wildfires but did not have the capacity to manage all the patients requiring care in Sonoma County. The emergency department was significantly affected, to the point where diversion was considered. 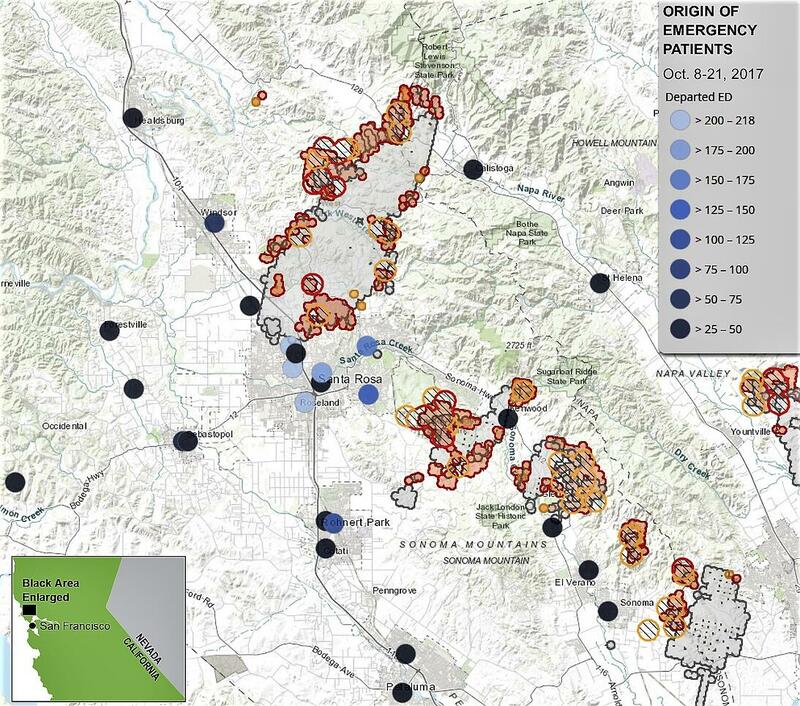 It became apparent that, if that were to happen, it would significantly affect the hospitals in outlying communities that were already taking on numerous patients from the three affected health systems in the North Bay area. Ultimately, through mutual aid with outlying facilities, Petaluma Valley’s emergency department avoided diversion. And shortly thereafter, the evacuation risk for Santa Rosa Memorial subsided and both hospitals soon returned to normal operations. The Petaluma Valley Hospital experience is documented in Table 2. Santa Rosa Memorial tracked the reach of the fires and the number of patients residing in the Sonoma County region treated in the emergency department. One of the challenges of this event was the fact that many caregivers and physicians were evacuated and/or lost their homes. The incident command structure obtained the information needed to plan what needed to happen next. An assumption was made in Sonoma County that 10 percent of the 2,300 caregivers for Providence St. Joseph Health lost their homes. Immediately, offices around the campus were being converted into apartments. Ways were found to obtain housing for caregivers on every level. The fire had an impact on our teams immediately (see Table 3) and even a month after the fire (see Table 4). We established a housing hotline, staffed by employees. Individuals who had housing to share called the hotline to register their availability. Caregivers, including medical staff, who needed housing called the hotline to learn about their options. The intention is to maintain this service for a year or longer as recovery continues. There were many aspects of this incident that focused work around the people who work at the facilities in Sonoma County. Whether it was the general safety of the facilities themselves or housing those who worked at them, there was a need to assess numerous challenges in this incident. For example, smoke within our facility became a significant challenge. Caregivers wore masks that were not effective. There weren’t enough high-efficiency particulate air filters and charcoal filters in our institution to meet the demand. It was not until we involved the private sector that we closed the gap. In addition, the hospice team innovated by going into the homes of our patients who were at risk of being evacuated. There were numerous scenarios where our patients were evacuated and cared for at one of the shelters within the community. Although it was not anyone’s plan for their last days of life to be in a high school gymnasium, our hospice team met patients where they were to deliver care needed. Patients were categorized as red (nonambulatory), yellow (ambulatory with assistance) or green (ambulatory) to allocate resources needed to move patients out. Unit volumes and anticipated discharges were also posted. Providence St. Joseph Health housing relief fund: $5,500 paid to caregivers and medical staff who lost homes. Fire relief fund: Funded by donors, up to $500 was paid to caregivers who lost homes or experienced a hardship related to the disaster, such as evacuation. Salary continuation: Caregivers who lost work during the disaster because of their department or clinic being closed received compensation for lost work time. PTO donations: Caregivers who experienced a hardship because of the disaster, such as loss of work unrelated to department closure, could request a donation of paid time off for up to two weeks. PTO payment: Caregivers affected by the disaster were eligible to cash out paid time off from their allotment. Uniform replacement: Caregivers who lost homes, resulting in loss of PSJH-sponsored uniforms, received an allocation for a new supply of uniforms. Well-being resources: Throughout the disaster and afterward, resources were offered to caregivers, volunteers and medical staff to support their emotional health. This included an on-site employee assistance program, as well as spiritual care support and support groups. In total, the caregivers of the Providence St. Joseph Health System donated more than 6,924 hours of paid time off. A key success in response to the wildfires was communication. Many avenues were used, including texting, email, rounding and other media. The medical staff services office’s practice of keeping an active list of physician cellphone numbers was extremely helpful. A challenge was posting to social media, requesting any available nurse or physician to come to or call our command centers. The outpouring of support was great. But managing the phone calls and having caregivers know about the need for employees to report for duty created additional work. One of the biggest successes was having caregivers call each employee, to see if they were affected by the disaster. That was acknowledged throughout our debriefings as a success because our teams felt cared for. During the medical director debriefings, leaders learned a lot about what went well during the crisis. For example, the organization immediately provided financial support to personnel who whose homes were damaged or lost during the wildfires. We hope this report serves as a reminder to follow processes in a disaster. This not only is limited to capacity management through the use of incident command, but also is critical to ensure our workforces are supported with shelter, finance or simply reaching out to see if our people have any barriers to return to work. Chad Krilich, MD, MBA, is chief medical officer of St. Joseph Health Sonoma County, based in Santa Rosa, California. Jeannette Currie, MD, is president of St. Joseph Health Medical Group, based in Sonoma County, California.